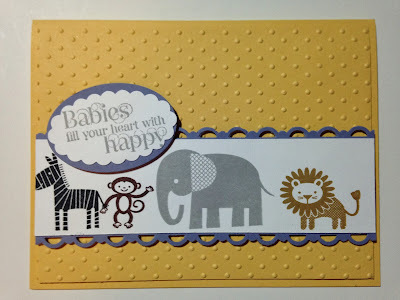 Good Morning and Welcome Back to Stampin' in the Sun! It's been a few weeks since I posted with Stylin' Stampin' INKspiration... I have missed them! I have an extra project after my Christmas card using stamps from the 25% off sale. Make sure to check it out and comment on which sets you HAVE to HAVE! 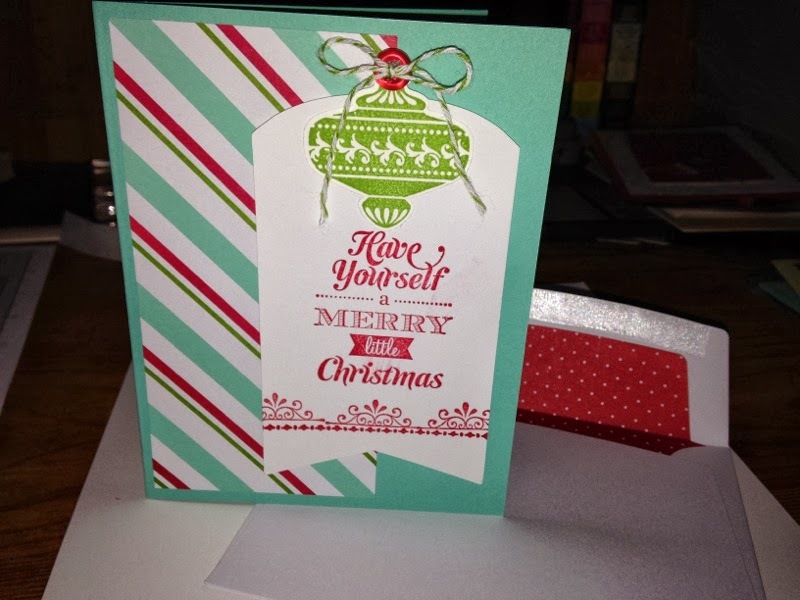 I bought the Merry Little Christmas Kit as a gift and then decided to keep it and use it for my Christmas Card Stamp-a-Stack on November 3rd from 2-6pm. 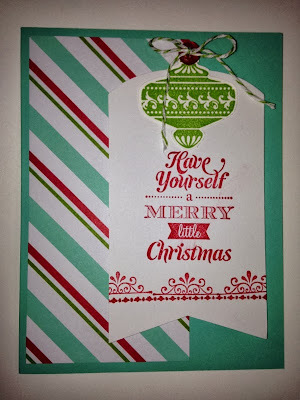 I added a punched ornament using the Christmas Collectibles stamp set and punch(check out the bundle here), doesn't it work perfect? I know it's hard to tell but the colors are Costal Cabana, Gumball Green and Real Red. 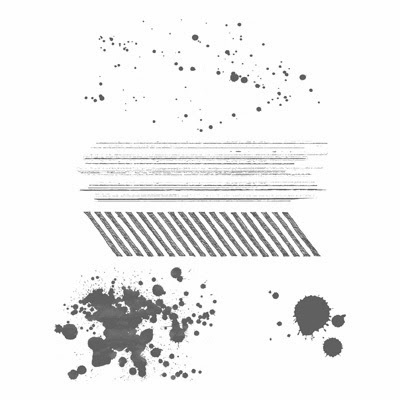 If you look at the picture below, you can see the kit also comes with envelopes and liners! Perfect! It's like a two for one deal! 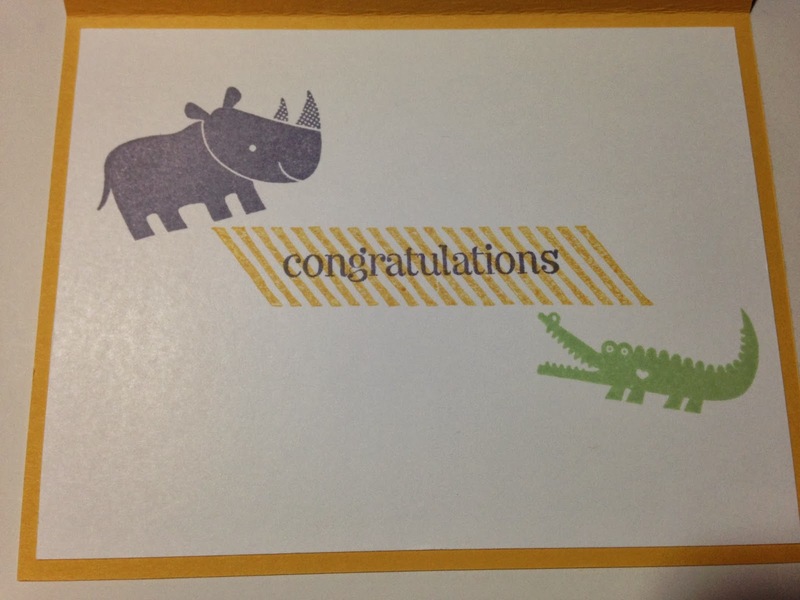 As you know from previous posts, I am addicted to lining my envelopes! 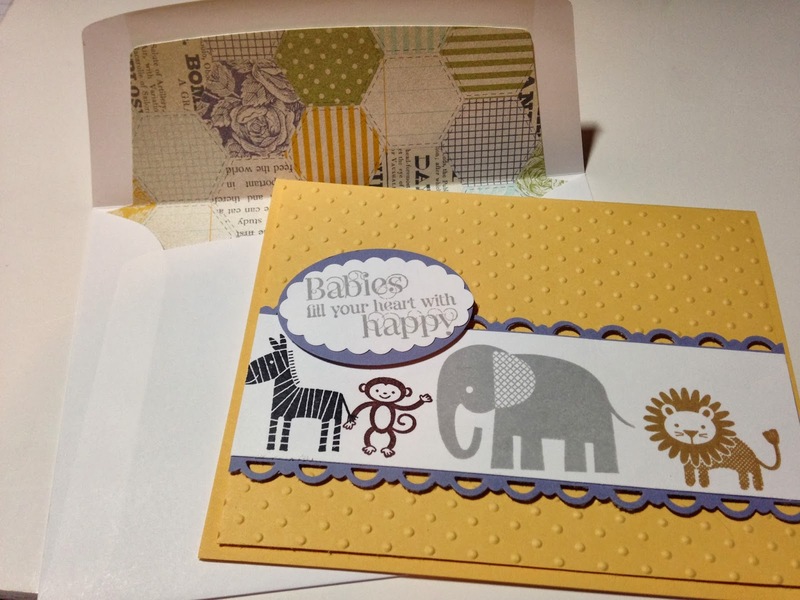 You can get this bundled kit which includes everything to make 10 cards plus the stamp set! Use #133286 for the wood mount set ($19.95) or #133287 ($17.95) for the clear-mount set. 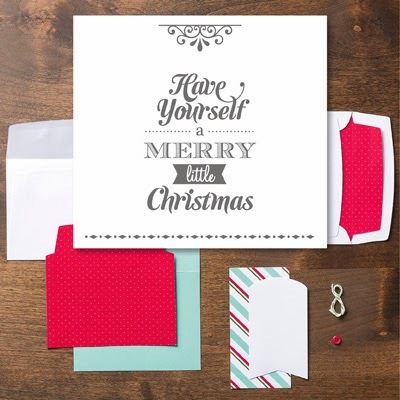 You can also order just the Merry Little Christmas Simply Created card kit (no stamps just everything else to make the cards) using #132158 ($9.95). Don't go just yet... one more card using 3 of the 25% off sale stamp sets! I made this card for my brother and his family because they are expecting! YAY! 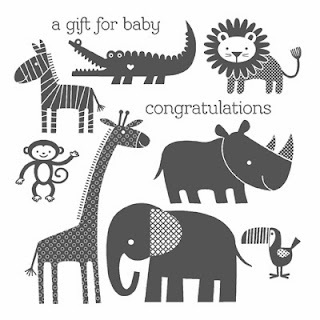 I am going to be an aunt again! I used So Saffron, as well as many neutrals for the animals and then threw some Wisteria Wonder in there to brighten it up! 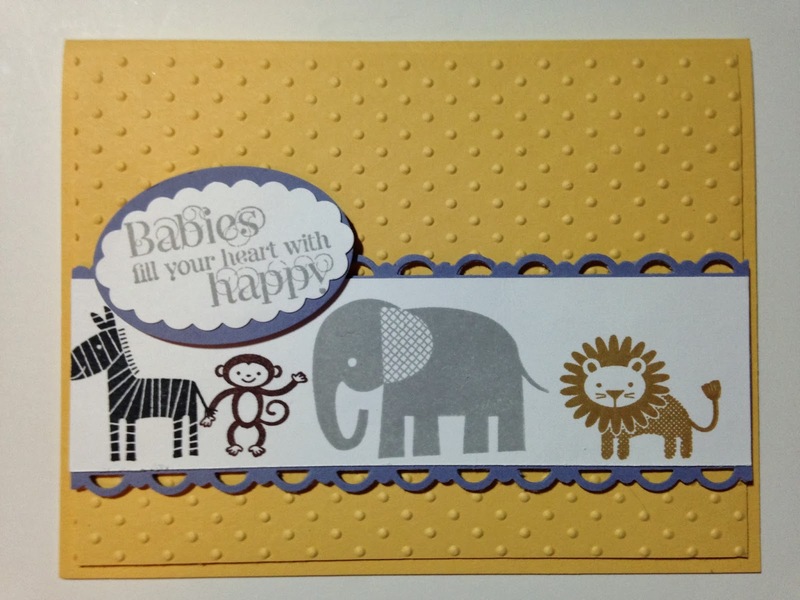 The animals are stamped using the Zoo Babies Stamp Set and then the sentiment is stamped using Cuddles and Kisses. They are both 25% right now! 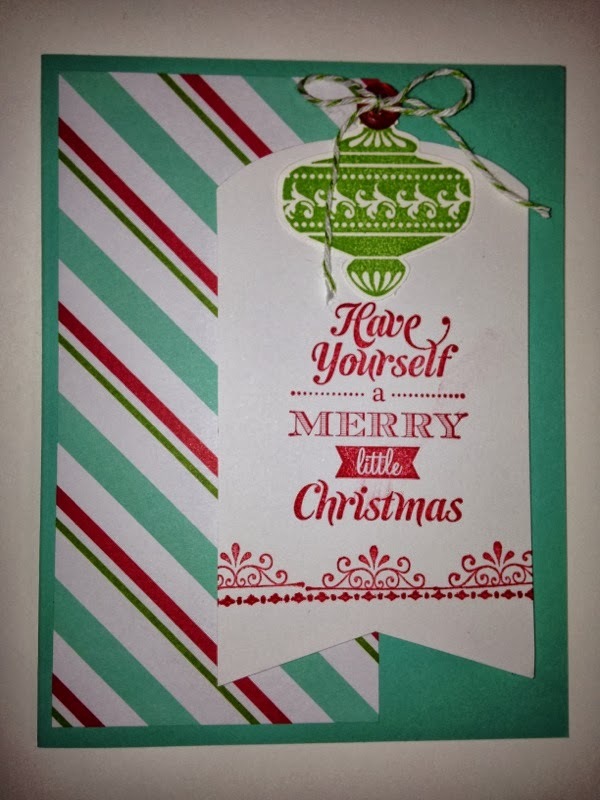 Do you like how I lined the card? Here are the 3 sale sets with images and sale prices! Shop NOW in my online store HERE! Thank you for being my customer and reading my blog! I appreciate your business and support! See you tomorrow for more inspiration using the sale sets!